What are anti wrinkle injections for? As we age, the skin changes – not only in appearance but in structure. It loses elasticity and becomes thinner which leads to wrinkles and lines, typically where the frequent skin creases occur on the forehead and around the eyes. Anti wrinkle injections can be used to restore a more youthful complexion by the reduction or removal of wrinkles and fine lines or as a preventative. 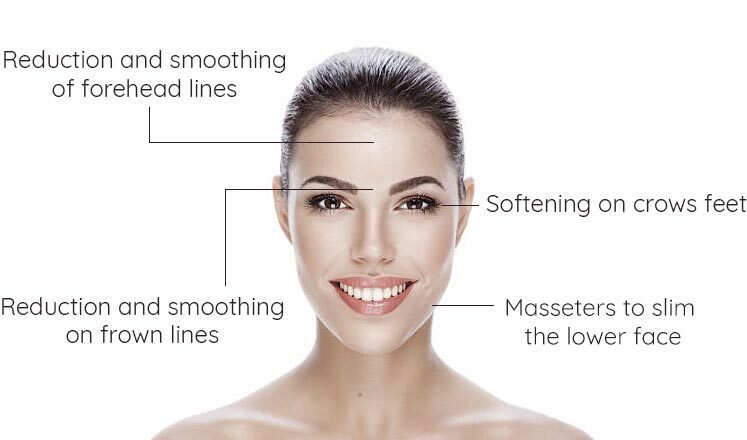 Anti-wrinkle injections contain a muscle-relaxing agent that, when injected into the treated area, relaxes the muscles that have developed lines and wrinkles over time due to repetitive movement (Think of frown lines or crow’s feet).